In addition to the improvements made in Windows 8.1, the update rolling out to Nokia devices also includes Nokia specific improvements in what is being called the Lumia Cyan update. The Lumia Cyan update includes a handful of audio equalizer features like enabling equalizer settings for audio played over the phone's speaker and a "dialog enhancer" to boost the volume of human speech in videos played on the device. On some of the higher end Lumia devices the update enables the option to record Dolby Digital Plus 5.1 audio in the camera app which does audio processing to emulate multi-channel audio recording. The Lumia Cyan update also brings a couple of improvements to the display settings. 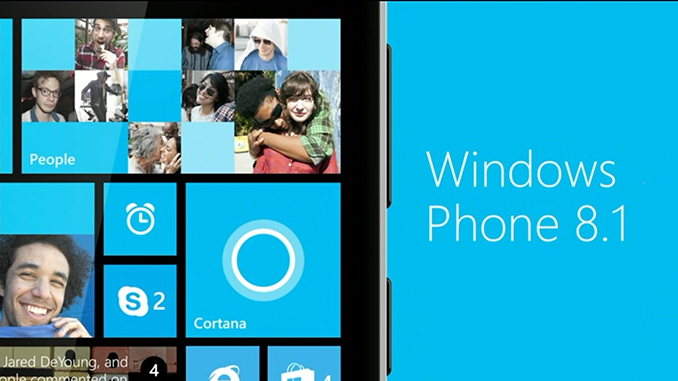 The first is support for brightness profiles which was originally introduced on the Lumia 630. This introduces a slider in the brightness section of the settings application for finer control over the desired brightness than the default fixed settings of low, medium, and high. The other new display related feature is what Nokia calls color profiles. In essence these are just settings that allow the user to shift the display toward a brighter more saturated image or toward a cooler less saturated image. Along with the three presets of standard, vivid, and cool, there is also an advanced mode which allows the user to manually change settings labelled color temperature, tint, and color saturation using three sliders. While Windows 8.1 is an update that will roll out to the entire range of Windows Phone 8 devices with all features included, the Lumia Cyan update may have certain features tailored only to specific devices. More information about other features included in the Lumia Cyan update can be found in Nokia's announcement post below. Both updates are beginning their rollout today and Nokia has updated their update status page to reflect the beginning of the Lumia Cyan and Windows 8.1 rollout. The update will be rolling out to Nokia Lumia phones as well as Windows Phone devices from other manufacturers like Samsung and HTC in the coming weeks. Of course, your mileage may vary since the update is still gated by individual carriers. Here's hoping they won't drag their feet any more than is absolutely necessary. That's an interesting question; I honestly dunno how it works when you're running a device that the carrier doesn't support. .FAQ - Does my Lumia 520, 521, 525, 526, 630 or 635 phone support sound equalizer?. You can get the upgrade by unlocking your phone. You can then either download the updates when they are in preview or release (on a case by case basis).